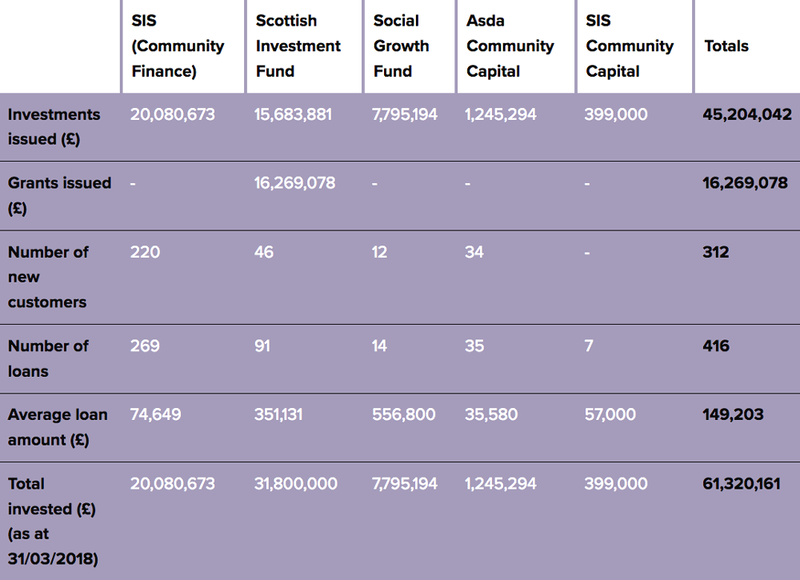 Since we began in 2001, SIS has invested £63 million in over 300 organisations across Scotland. We continue to grow and develop the range of funds, products and support that we provide to our customers. Lending anything from £10,000 to £2 million, we want to help organisations sustain and grow their social and economic impact. Our core loan fund provides a range of flexible loans from £10,000 to £250,000, including our popular bridging loan product. Created with £31.8 million in 2008 by the Scottish Government to help build third sector capacity in Scotland, SIF has invested in 67 organisations in a range of sectors across Scotland. The fund is now fully invested. A £16 million partnership between the Scottish Government and Big Society Capital, SGF provides loans from £100,000 to over £1 million. It features a risk capital product which, if offered, is popular with organisations looking to grow their activities and impact. This is designed to support early-stage social enterprises looking to access social investment for the first time. Loans range from £10,000 to £50,000, with a 5% interest rate (interest-free for the first year). This innovative fund (using social investment tax relief) is suited to social enterprises looking to scale. This fund was fully invested in 2016. Full annual accounts can be found here. SIS was the UK’s first Responsible Finance provider to undertake Aeris’s comprehensive, third-party, credit-rating assessment.